Simple organizing solutions usually work best - and one way to make it easy to remember where to put things away is to label the containers. 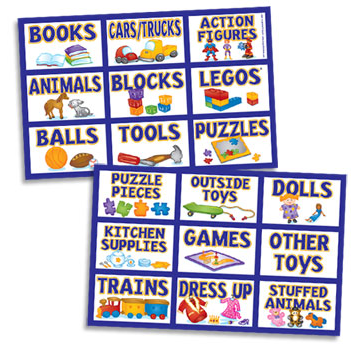 But if you're dealing with young children, words won't help - pictures (often combined with words) work better. You can certainly create your own labels, but if you'd prefer to just buy some, you can head over to Etsy and get your dresser labels from ZBEEZ. There's a set for boys and one for girls. Update on Sept. 3, 2012: I'm no longer seeing this product at ZBEEZ. 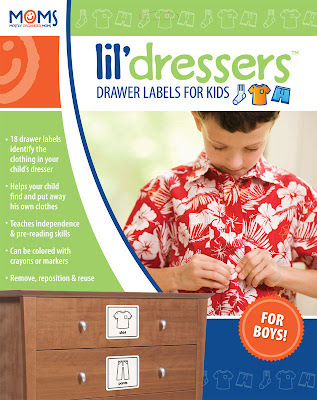 Or you could get the Lil'Dressers Drawer Labels; you can read a review over on Natural Moms Talk Radio. Again, there are two versions: one for boys and one for girls. 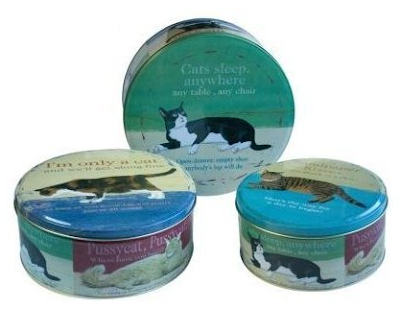 Update on Sept. 3, 2012: The company selling this product seems to have disappeared. And Organize It Mom sells toy labels for whatever containers you use for the toys. [via Org Junkie's Product Reviews] Update on July 6, 2014: This product seems to have disappeared, too. Thrift stores support a number of worthy causes, and many of them are noticing a decline in donations lately. My local thrift store in Half Moon Bay, which supports programs for seniors, is experiencing a "stark drop-off in donations." At the PTO Thrift Shop, the most noticeable shortages are in the houseswares section: Dishes, pots, pans and other kitchenware. In some cases, the shelves are literally bare, though Soth said they try to spread out what they have to make it look a little less sparse. Donations of electronics are down too, she said. Same for men’s clothing. The ailing economy may be a boon to the consignment shop business, but it's also taking a bite out of charity thrift shop inventory by discouraging donations. 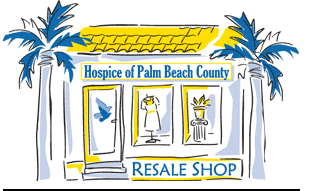 "Based on the conditions of the market, people are not buying much new, so they're not getting rid of the old," said Cathy Olsen, director of resale operations for Hospice of Palm Beach County. So if you've been hanging onto things you really don't need, consider finding out how your local thrift store is doing, and helping out with some donations. OK, I know it's way past Valentine's Day - but I'm still having fun with the candy heart generator. 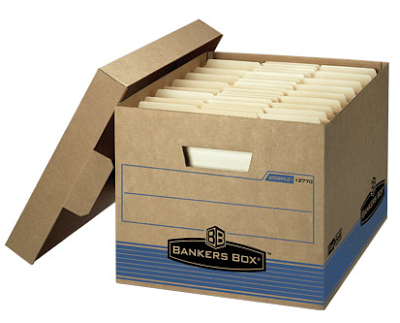 Bankers box - why in the world do we use that term for "any box made of heavy-duty corrugated cardboard that is roughly the height and width of a file folder and the length of a file cabinet drawer"? Harry L. Fellowes bought a fledgling box business from an acquaintance, Walter Nickel, who was called up during World War I. 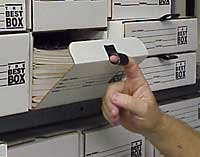 Purchased for just $50, the company manufactured and sold a corrugated filing box designed for bank records. With a newly passed amendment instituting a federal income tax, records retention became a necessity. Now Fellowes provides a wide range of Bankers Boxes - including the one shown above, made from 100% post consumer waste materials. 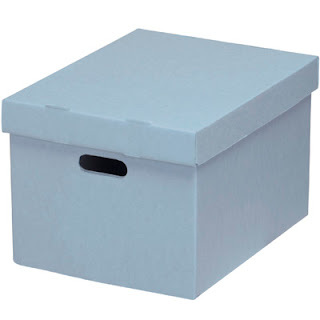 If you need the acid-free archival-quality equivalent of a Bankers Box, you can look at the document storage boxes from Archival Suppliers. Update on Oct. 24, 2012: Archival Suppliers seems to have disappeared, but you can find boxes like this from University Products. 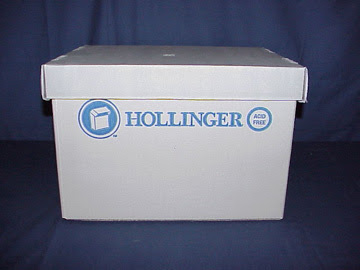 Hollinger Metal Edge also provides archival-quality document boxes. 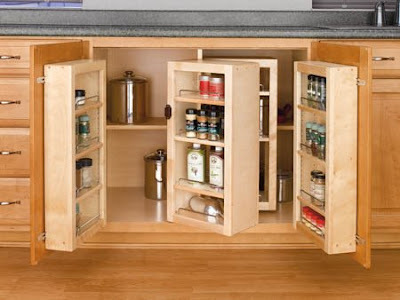 I've known about roll-out pantries for quite a while - but I just learned about fold-out pantries today! 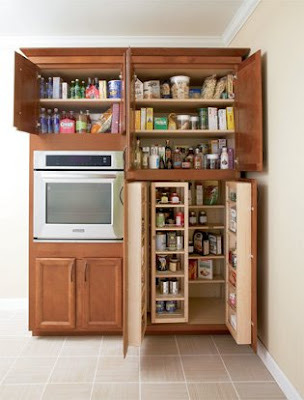 A few companies make them; this is one of the pivot-out pantry systems from Rev-A-Shelf. You can get swing out kits from American Woodmark at Home Depot. 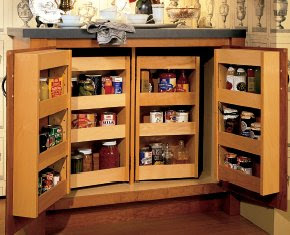 This is just one of the products in the chef's pantry system from Omega International. Hoffco makes these pantry swing shelves. I don't know who makes these swing shelves sold by Rockler. "We can't get people to even make Wills. How on earth is anyone going to understand what happens to their virtual life when they die?" 2. A trust (if you own any significant amount of stuff). 3. A medical power of attorney, advance health care directive, or living will. 4. A financial power of attorney. But have you ever considered your on-line life? Your bank accounts, your e-mail, your web sites, your blogs, your social media sites (Facebook, LinkedIn, Twitter, etc. ), your virtual life if you participate in sites like Second Life? Does anyone know your user IDs and passwords, so your on-line life can even be accessed? And have you considered what you'd want done with your web presence, including any social media sites you participate in such as Facebook - the site involved in the Consumerist story quoted above? Would you like to have such sites kept alive as a memorial, or have them removed? Use them to communicate to others who may not know what has happened to you? And do the appropriate people know those wishes? Personally, I've let the right person know my key logins and passwords, but it looks like I have some more stuff to communicate. What about you? Maybe you musicians already know about the many products made to help store your sheet music - but I sure didn't, until just recently. Skipping the piano benches that store music, here are some of your options. Boxes - some that claim to be archival quality, and some that don't - can be found any number of places. The one at the top of this post comes from Bags Unlimited. 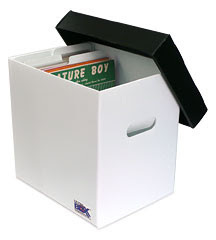 The Best Boxes shown above come from MusiCity.com. Other places I found sheet music boxes include Gene Johnson Productions and Metal Edge. 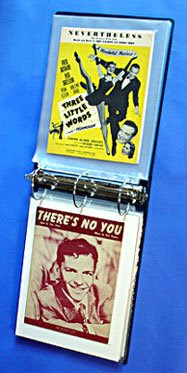 Bags Unlimited provides binders as well as boxes. 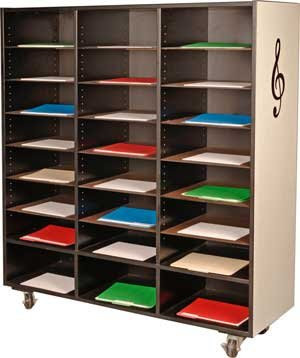 This sheet music cart was designed for school music departments. 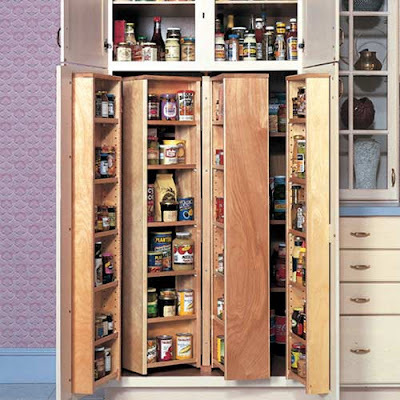 You have a number of options when it comes to cabinets. 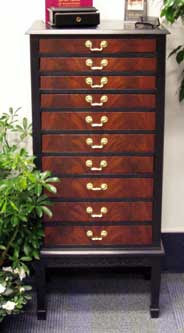 The ones above come from Alden Lee, who cleverly calls them "drawers for scores." This one comes from GRK Manufacturing; the company says it's been making this model for 50 years. 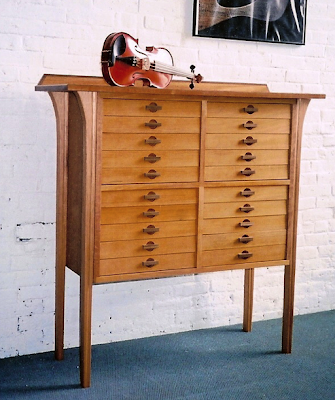 Katahdin Studio Furniture is handcrafted in Maine; the company has a number of styles of sheet music cabinets. 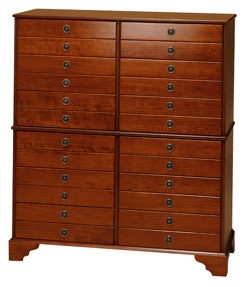 Wren Chest has a weak web site - I can't even tell where the company is located, and I keep wishing the pictures were better - but seems to make nice cabinets. 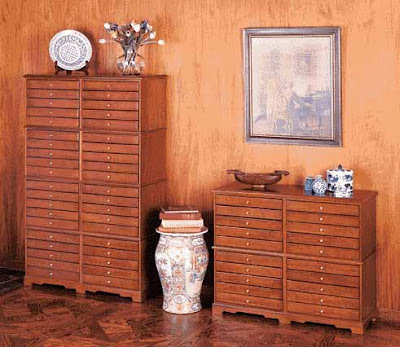 Over in the U.K. you can get sheet music cabinets in various styles from John Austin Furniture. 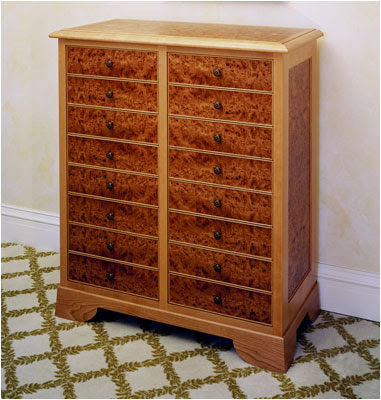 And this lovely piece, made from Cherry and Carpathian Elm Burl, comes from Boykin Pearce Associates, a custom furniture business in Denver, Colorado. 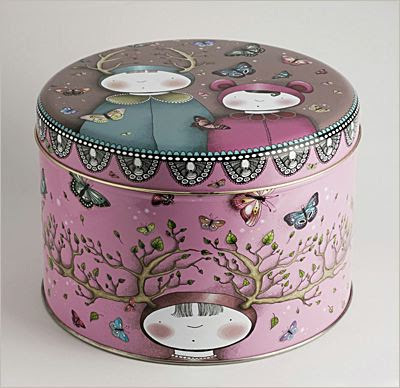 If you're looking for containers, one type to consider is the storage tin. The one above comes to us courtesy of La Marelle Editions. 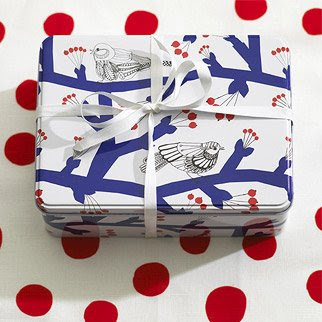 This one comes from Marimekko. 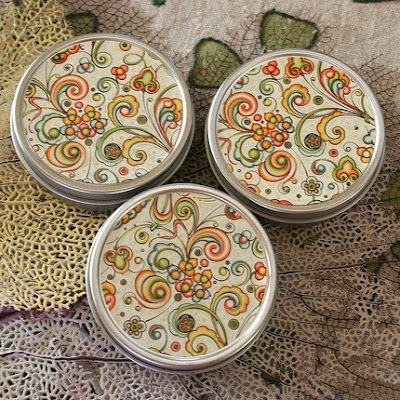 And over on Etsy, 32 Degrees North Supplies takes some little tins and decorates them with incredible Italian papers. My February 2009 newsletter is now available. 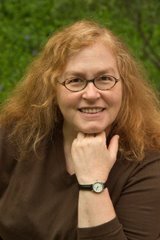 My organizing information on other sites: I'm quoted in Consumer Reports ShopSmart magazine (PDF file on-line) and also have an article on the Design Public blog. 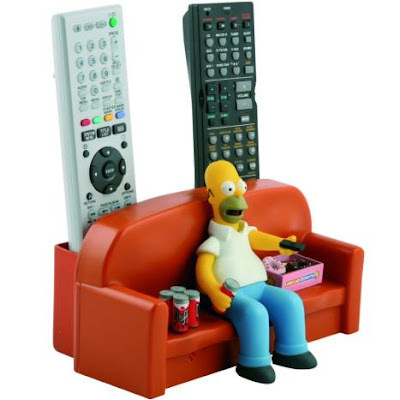 Looking for a way to avoid remote control clutter? I've got four options for you. 1. 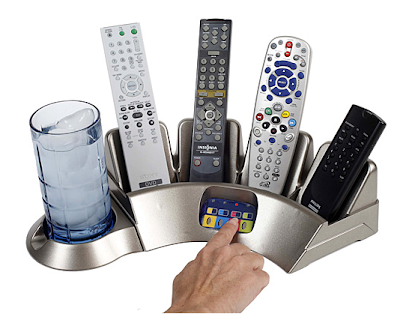 Reduce the number of devices you use, and thus reduce the remotes. 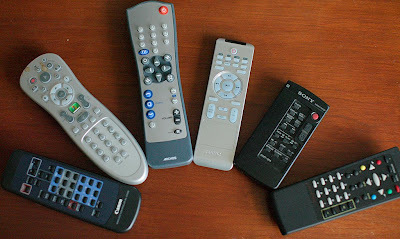 OK, I know I'm way outside the norm here; I use zero remotes, personally. (I think my stereo system came with one, but I never use it. I don't have a TV, VCR, or DVD player - except for my Mac.) But I still want to emphasize the general organizing principle: Make sure you know what you want to keep before you worry about how to store stuff. 3. 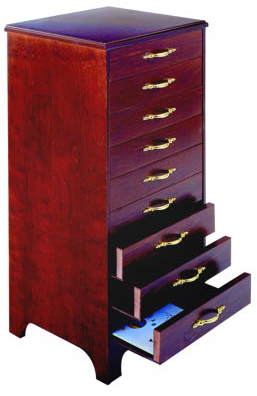 Use some form of remote organizer or caddy. You can find remote control caddies or organizers at many stores selling organizing supplies; Stacks and Stacks and Organize.com are just two. RV Supply Warehouse has an oak remote control holder you can mount to the wall. 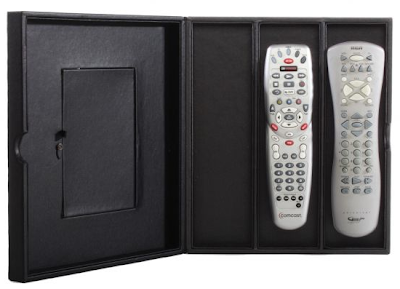 And of course lots of stuff not sold as a "remote organizer" could work just fine as a container for your remotes. But there's also the Kangaroom Remote Control Book, if you don't mind a caddy with a lid, and you have no more than three remotes. Update on May 23, 2011: I'm no longer finding this product. 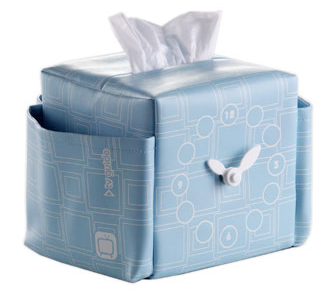 Go Home in Australia has a few different TV caddies; actually, each one is a combination of TV caddy, cube-sized tissue box holder, and clock. And then there's the Remote Buddy, which Engadget says is "all the proof you need that a universal remote really is the best option if you have 4+ units that you use on a regular basis." That of course leads right to my final suggestion. Update on July 21, 2010: See more remote caddies and such. 4. Get a universal remote. Mark Hurst over at Good Experience just wrote about Logitech's Harmony One, which he recommends, with one caveat. And CNET likes it, too. 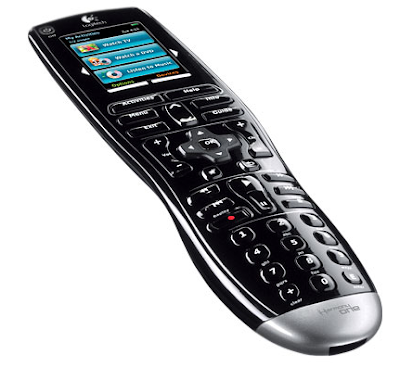 Update on July 18, 2011: A number of other people also recommend the Logitech Harmony remotes. 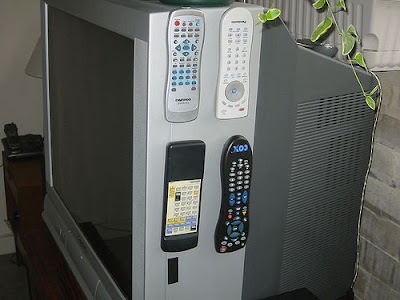 There are also a number of large-button universal remotes, for those who need (or prefer) them. The one above is sold by Gold Violin. Update on April 3, 2012: I'm no longer seeing this at Gold Violin, but you can find it other places, such as Arthritis Supplies. Happy Valentine's Day! This magnetic notice board seemed like a good way to start today's post. 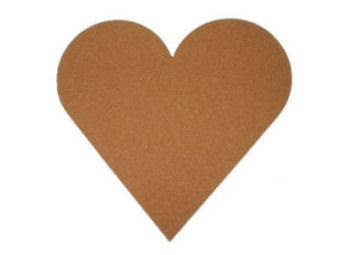 You can also get a basic cork bulletin board in a heart shape. 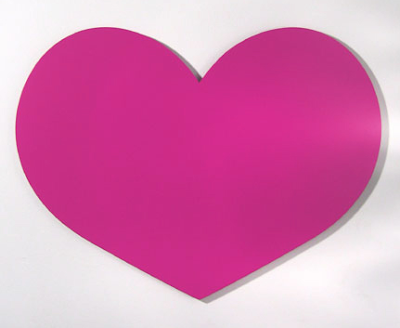 Then there are the heart-shaped chalkboards. 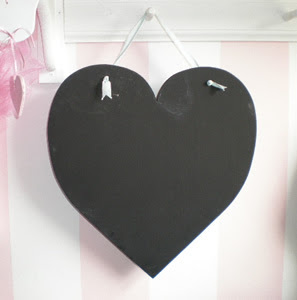 Update on Feb. 5, 2012: The site selling these seems to have disappeared, but there are many other heart-shaped chalkboards. See here and here for a couple examples. 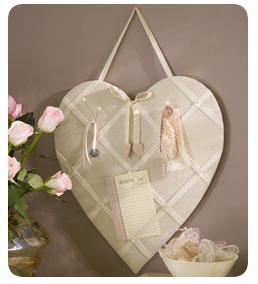 And here's a heart-shaped message board. 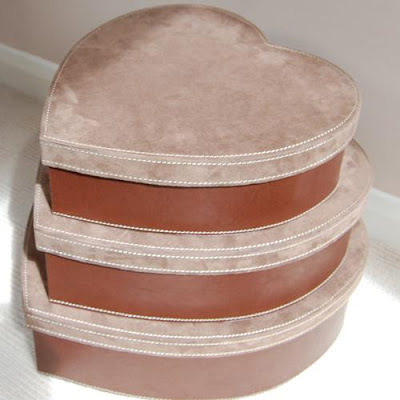 Velvet Brown provides these heart-shaped hat boxes, also sold through Not On the High Street. Update on Feb. 8, 2013: I'm no longer finding these boxes anywhere. 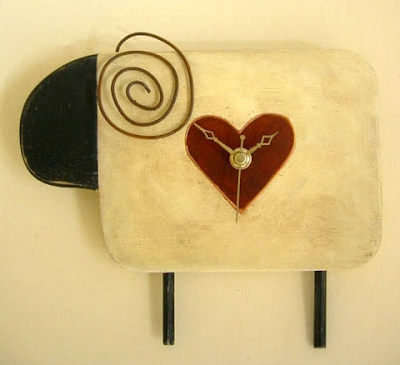 And I'll leave you for today with this clock from Rustic Heart. Update on Feb. 8, 2013: Rustic Heart has gone out of business. I'll confess that I'm not always diligent about making sure I get my eight hours of sleep every night, even though I know I feel better and do better work when I get that sleep. And while I always have good intentions about getting my exercise in, I often decide to do something else instead. If all you do it walk several time a week, your brain will benefit. ... In the laboratory, the gold standard appears to be aerobic exercise, 30 minutes at a clip, two or three times a week. Add a strengthening regimen and you get even more cognitive benefit. Your lifetime risk for general dementia is literally cut in half if you participate in leisure-time physical activity. Aerobic exercise seems to be the key. With Alzheimer's, the effect is even greater: Such exercise lowers your odds of getting the disease by more than 60 percent. How much exercise? Once again, a little goes a long way. The researchers showed you have to participate in some form of exercise just twice a week to get the benefit. Bump it up to a 20-minute walk each day, and you can cut your risk of having a stroke - one of the leading causes of mental disability in the elderly - by 57 percent. The bottom line is that sleep loss means mind loss. Sleep loss cripples thinking, in just about every way you can measure thinking. Anyone else feeling inspired to make some changes? 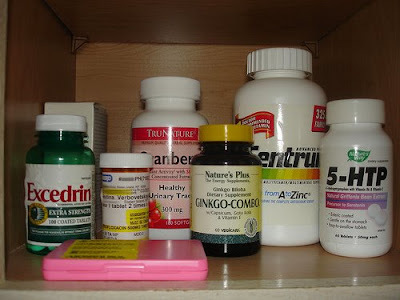 Decluttering your medicine cabinet? Here's something I just learned today: You may want to hold onto medications, even after the expiration date has passed. Think of expiration dates - which the U.S. Food and Drug Administration (FDA) requires be placed on most prescription and over-the-counter medications - as a very conservative guide to longevity. The expiration date is a guarantee from the manufacturer that a medication will remain chemically stable - and thus maintain its full potency and safety - prior to that date. Most medications, though, retain their potency well beyond the expiration date, and outdated medications, whether prescription or over-the-counter, are not usually harmful. The heat and humidity from showers and baths can cause medications to break down, lose potency, and, in rare cases, even become toxic. To keep your medications in the best condition, keep them in a dry area away from heat and light, such as a dresser drawer. Disclaimer: Obviously, I am not a doctor; I'm just passing along information I've read. So check with your own medical professionals! 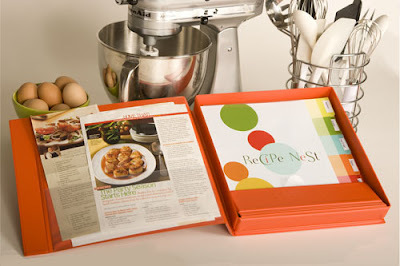 You have a recipe collection to organize, you want to keep your paper recipes - but recipe boxes don't appeal to you. I've noted a number of options before (here and here) but it's been a while, and of course I've found some nice new products. One of my favorites is the Back to Basics Recipe Divider Organizer, from Meadowsweet Kitchens. The Recipe Nest from Recipe Relish follows a similar approach, with a more elaborate product. 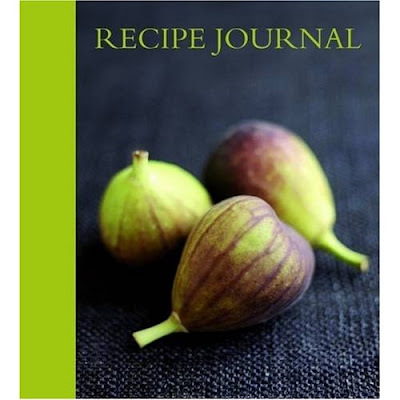 Corban & Blair, in Australia, has some interesting recipe journals bound with binder rings. These have blank pages where you can write your recipes (or paste them in), a few plastic sleeves to store clippings, and dividers to organise recipe sections. They come in two different sizes. 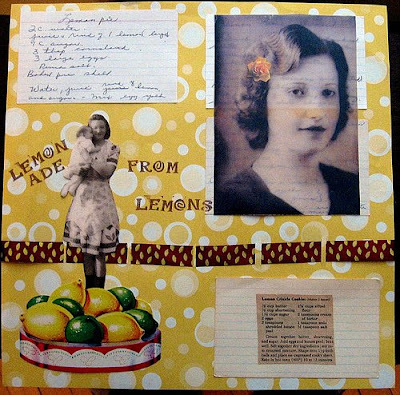 Another recipe book with binder rings comes from Beth Bee Books. 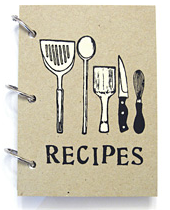 And this recipe notebook is a 2-ring binder. 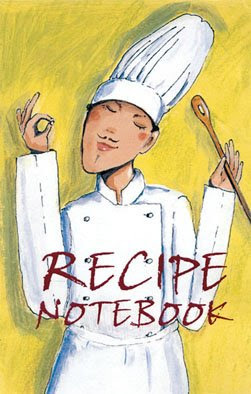 Update on Feb. 15, 2010: I'm no longer seeing the recipe notebook shown above, but the same publisher has another one. 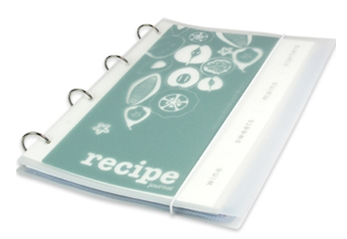 Other places offering binder-style recipe journals are C.R. Gibson, Bottman Designs, and Williams-Sonoma. Check to see what they come with (blank pages, recipe pockets, magnetic pages, etc.) to see if they'll fit your needs. And then there are the bound recipe journals. I wouldn't normally feature one like this, which can be found all over - but the cover picture is so lovely I couldn't resist. There seems to be a fig version (see here and here), a lemon version (see here and here), and a pear version (see here, here and here.) Note: Those links include sites in the USA, England, Australia, New Zealand, and India.